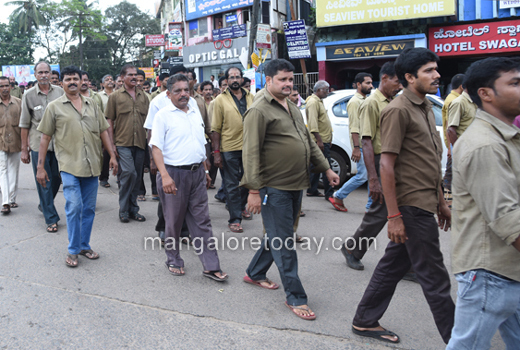 Mangaluru, Oct 10, 2017 : Autorickshaw drivers of Mangaluru under the aegis of Mangaluru City Autorickshaw Owners’ and Drivers’ Union took out a protest march on October 10, Tuesday alleging that online taxi operators Ola and Uber were functioning unauthorisedly in the city. 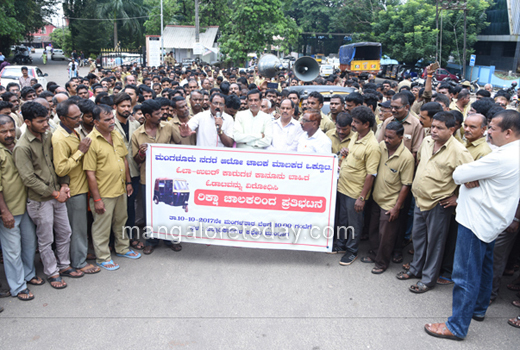 Though there is a rule that public transport vehicles have to install meters mandatorily and charge the meter rates fixed by the RTO, the Uber and Ola taxis were flouting the rules, they said and alleged that the functioning of these taxi services has hit hard poor autorickshaw drivers as they are offering services at lower rates. 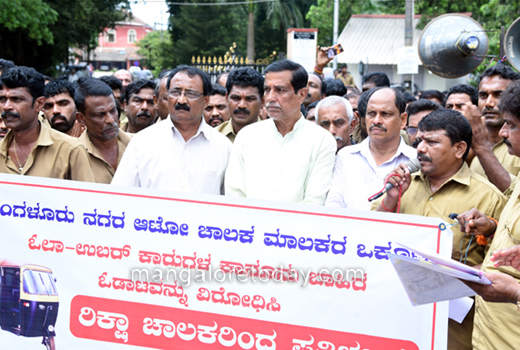 The protestors also demanded action against Ola and Uber. 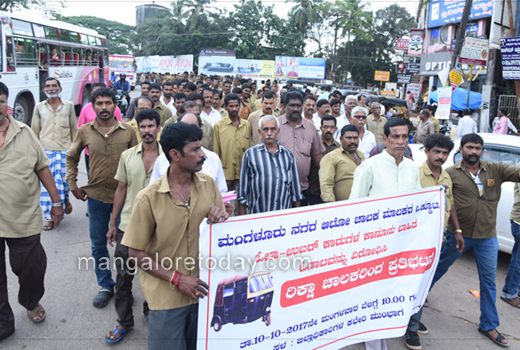 Earlier the autorickshaw drivers took out a procession from Mini Vidhana Saudha to the RTA office and from there to the Deputy Commissioner’s office.